Acupuncture is a form of Chinese medicine and helps restore balance and flow throughout the body. It is recognised by the World Health Organisation (WHO) as being a very effective treatment for a wide range of medical health conditions. The human body has energy circuits throughout called meridians. These meridians have over 500 acupuncture points which can sometimes be blocked or damaged from accidents, surgery, lifestyle, or heredity which can cause you pain. To keep these meridians flowing and free from pain, acupuncture is a marvellous healing tool to let the energy/Qi flow freely within your body. The living body is an electrical device. acupuncture upgrades the software. We start by taking a case history with you, which involves using the Acugraph meridian health screening machine, asking you questions, taking your pulses and looking at your tongue. This whole examination indicates the state of your health, and the condition of your blood and Qi (energy). Once we understand the energetic balance of your body, you will lie down and relax while we apply acupuncture. A common question “Does it hurt?’ Acupuncture is a safe treatment using ultra-fine sterile disposable stainless steel needles inserted into specific parts of your body on acupuncture points on your meridians. 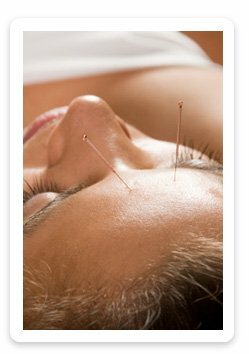 Acupuncture is not a painful experience – you will feel a mild sensation but you will not feel pain. We may also apply cups or moxa during your treatment if required to invigorate your healing process. Moxa is a Chinese herb stick, used to warm certain points on your body and calm your mind. Great for period pain. We may also apply cups during your treatment usually to relieve tension or pain, especially on your back or for shoulder tightness. Cupping is a treatment of applying glass cups to the skin. These glass cups are heated which creates a vacuum and placed on your skin’s acupressure points or the source of your pain. During a cupping treatment blood flow is increased to where the cup has been placed and releases toxins and congestion from your body. Cupping has been used in China for thousands of years and there are recordings in Egypt of cups used in healing from approximately 1500BC. Cupping reduces stress and relieves pain and is particularly useful for colds and flu, boils, lung disease, removal of toxins, paralysis and gastrointestinal conditions. After a cupping treatment you may have some dark spots on your skin ranging in colour from pink to purple. Generally these spots are not painful and will fade in approximately 3-7 days. This is the result of the drawing effect of the cups, releasing congestion and toxins from your body. You will find that on subsequent treatments your skin will not discolour to the same degree which indicates an improvement in your health. Contraindications of cupping – if you are pregnant, have inflamed skin, high fever, cramping or if you bleed easily then cupping is not recommended. After an acupuncture or cupping treatment Chinese Herbs maybe recommended for you to take home to compliment your treatment. These Chinese Herbs are user friendly and easy to take in a pill form.